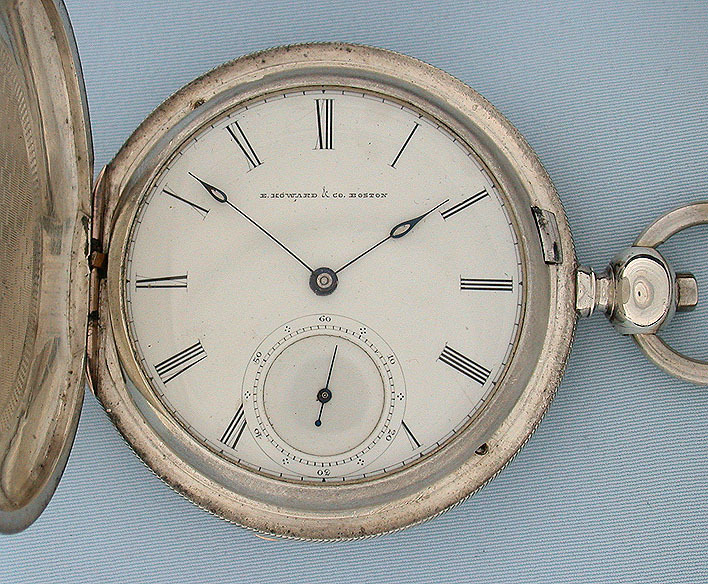 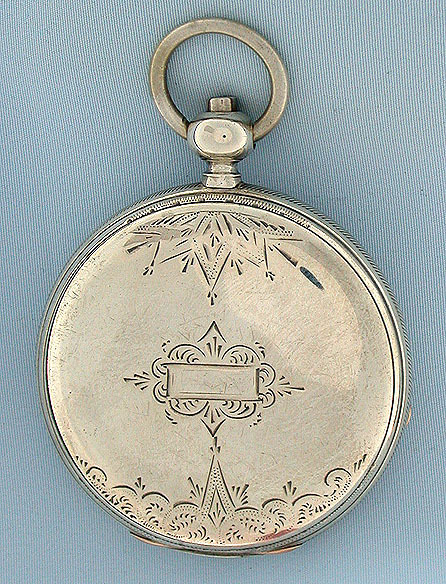 Fine Howard Type III Mershon's Regulator coin silver hunting case antique pocket watch circa 1868. 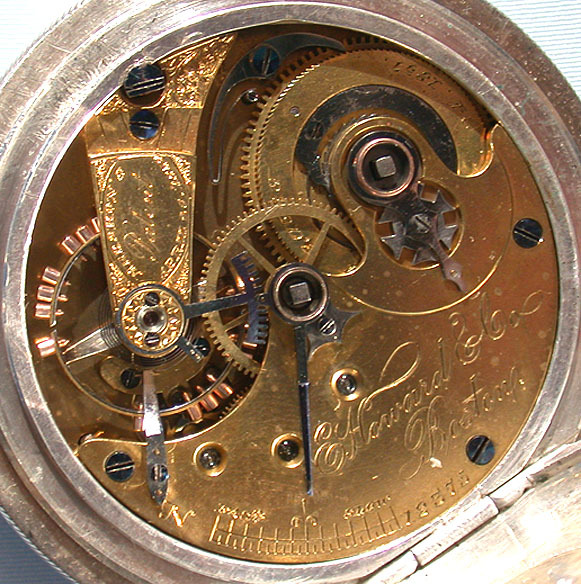 Lovely gilt half plate 15 jewel movement #12375. 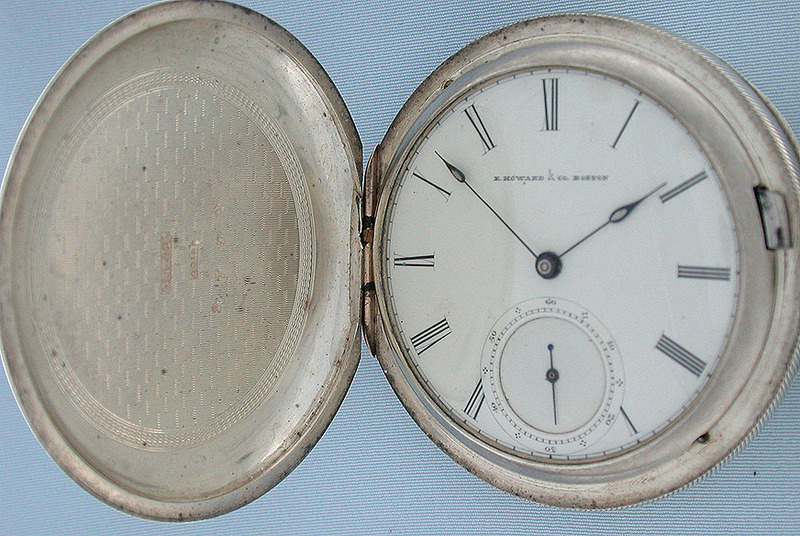 Fine white enamel dial (minor hairlines) with Howard polished center blued steel spade hands. 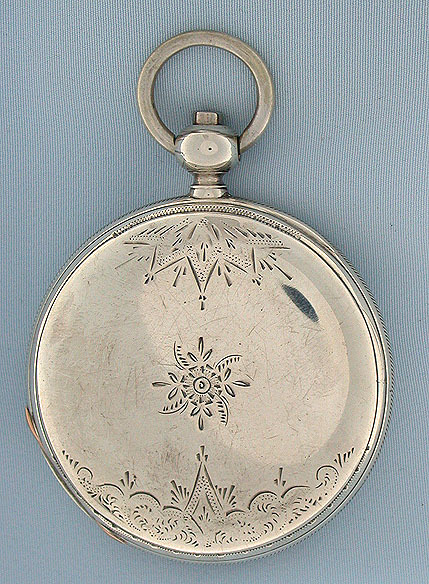 Heavy engraved case with even pocket wear and engine turning under the cover.